JTB FlexReport 11.0.1 has been released. 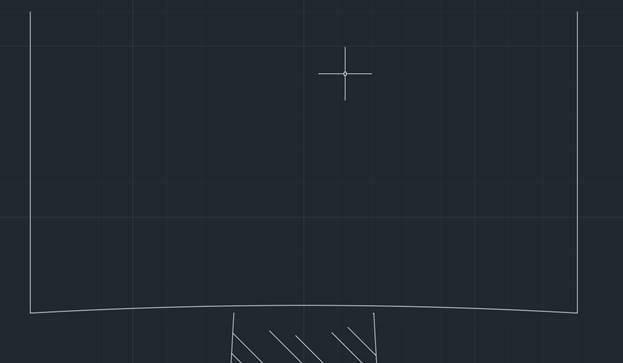 Fixed error "Object reference not set to an instance of an object" that could show up. If you installed version 11.0, uninstall first the JTB FlexReport Core, JTB FlexReport Report Service and/or JTB FlexReport Process Monitor Service. The upgrade is free for all customers with maintenance in place. If you would like to renew the maintenance to get access to this update please contact us. JTB FlexReport 11.0 has been released. JTB FlexReport is a report tool for often expensive applications using various license managers like FlexNet, DSLS, SPLM, RLM, LM-X. 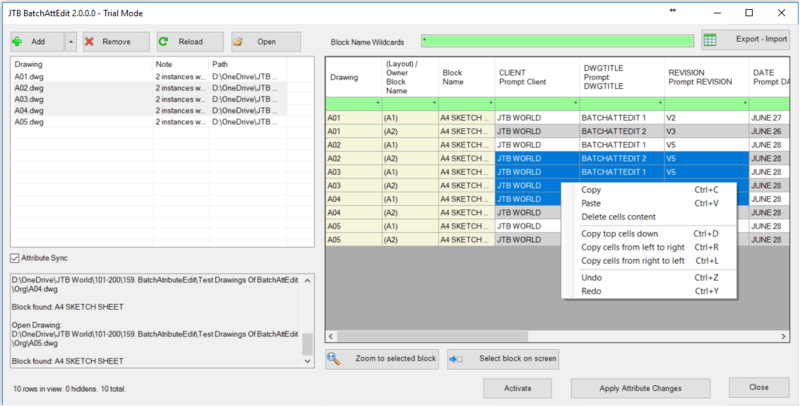 Do you want to optimize your software purchases for the future? JTB FlexReport is an inexpensive solution that will help you. By the license tracking JTB FlexReport does and the reports that can be produced JTB FlexReport will help you to manage and forecast future license usage and license usage trends at your company. For a complete list see the revision history. 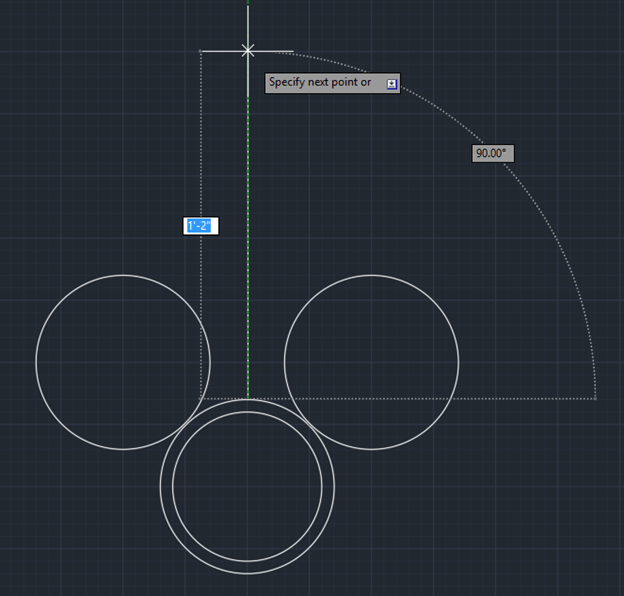 Guest Article by Ethan Yakhin from Acuity Training on how to draw a Connecting Rod and Piston in AutoCAD. 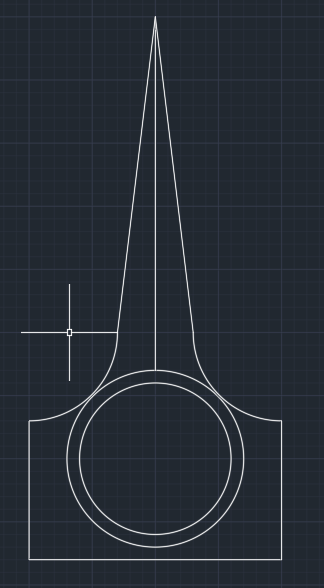 NOTE: Measurements in tutorial not actual size of a Connecting Rod or Piston. However, the sizes are proportional. Once your snap settings match mine, we will be ready to begin. 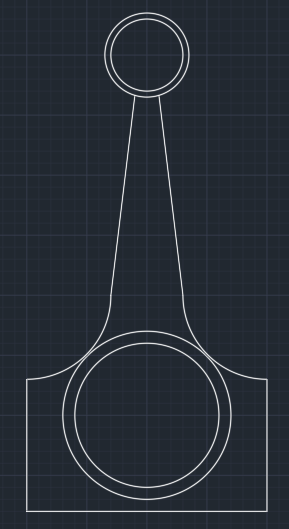 We will be making a 2D representation of both a Piston, and a Connecting Rod. A Piston is a critical part of every car engine, and is a key part of the intake process. A Connecting Rod is a part that connects a Piston to a ‘crank’ or ‘crankshaft’. 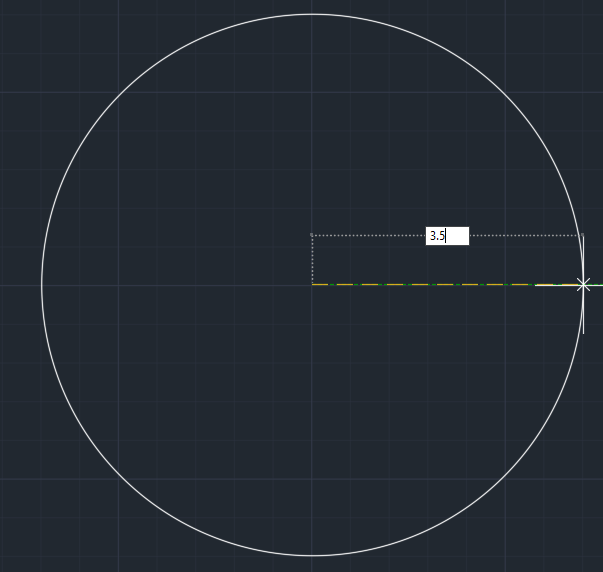 First, start by making a circle (C) with a radius of 3.5 inches. 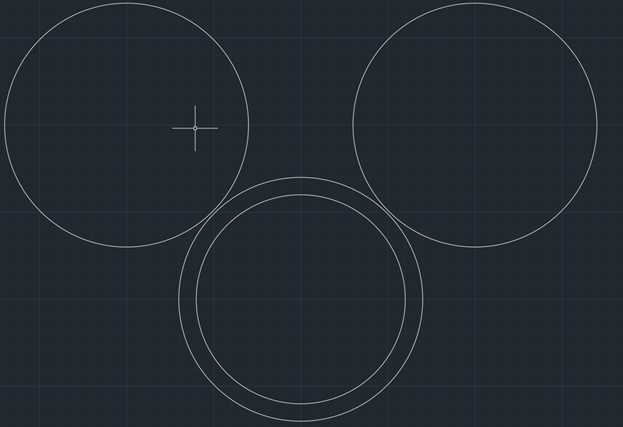 Make sure this circle is centered on a major grid point. 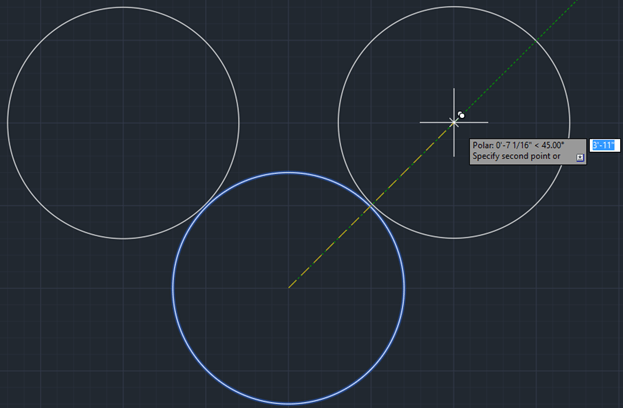 Next, you want to make a copy (CP) of our circle and place it in the same location as in Figure 4. Do not leave the CP command yet. With the snap settings we have set, it should be no trouble at all. Add another copy at the location show in Figure 5. After clicking, you can leave the CP command. 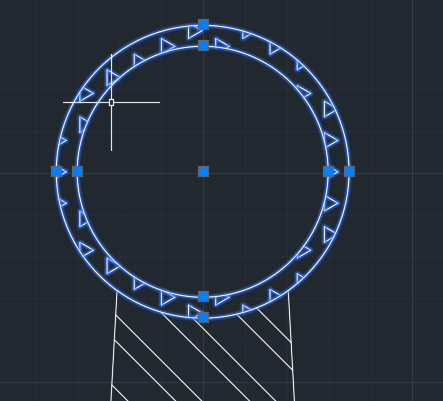 Next, go back to the centre of the original circle, and make another one that has a radius of 3 inches. It is going to get tricky now so make sure you follow the direction closely. 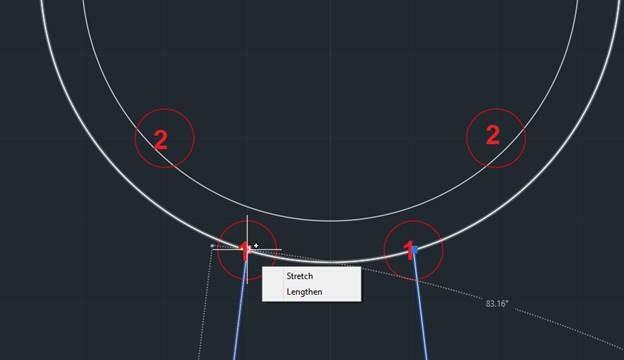 Make a Line (L) with a start point on our first circle’s North Quadrant, and an end point 1’2” above that. Wait for further instruction before escaping the Line command. With the Line tool still active, place your next click on the West Quadrant of the third circle we made. Place your next click exactly 3” West. Then, finally, place your final click on the top of the first line we created. After this you can leave the Line Command. 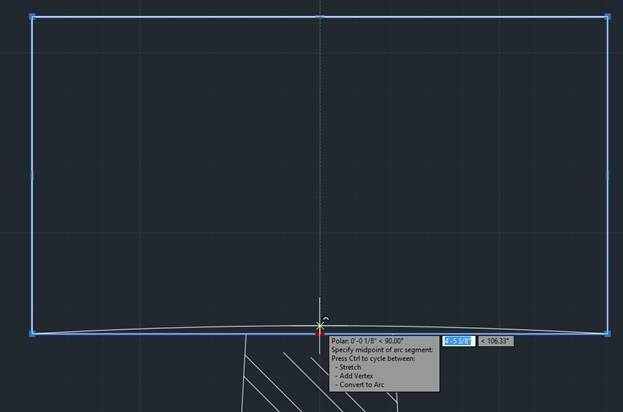 You can delete the horizontal line. We won’t be needing it. Refer carefully to Figure 10 for the next part. 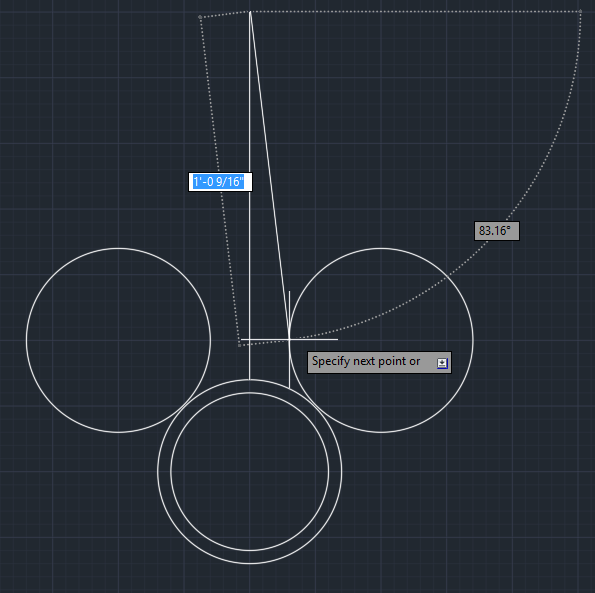 Using the Line tool (L), follow the clicks sequentially using the 4 endpoints circled in Figure 10. After hitting ENTER, Select the outer parts of the left and right circle. Those part should, disappear leaving only an arc. Hit ENTER again to leave the Trim Command. Delete the Vertical Line. We will not need it anymore. Make a copy (CP) of our 2 center squares, and place it as show in Figure 13. Scale (SCALE) the copy down to half of the original’s size. Make sure the centre point remains the same. 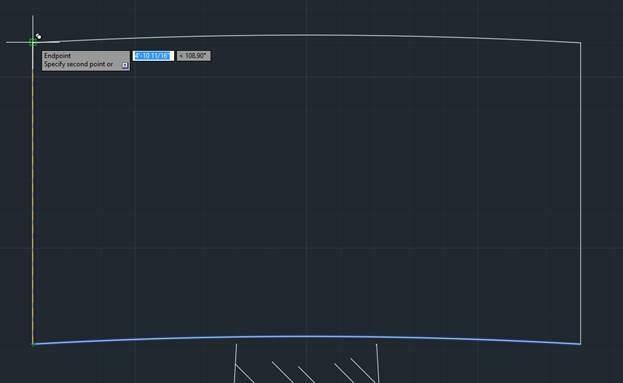 After scaling it down, open up the Trim command againd. 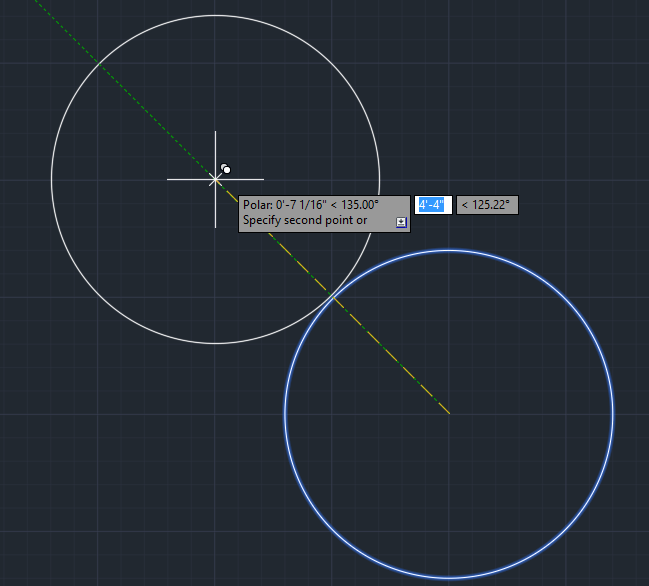 Select the outer circle and trim out every straight line that is within or above the 2 circles. You should end up with Figure 14. 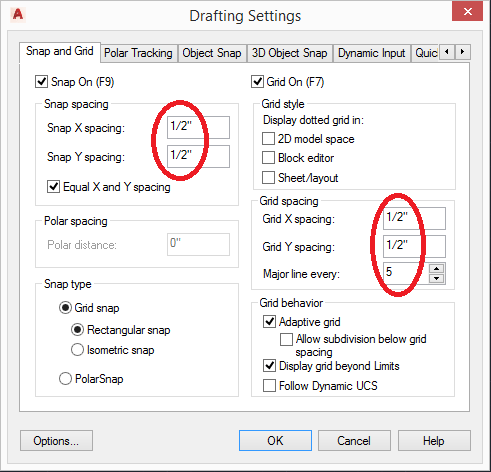 Using the Line command, click the grid points circled in red in Figure 15, moving in numerical order. You may have to zoom in on Figure 15 to properly see all the numbers. Our Connection Rod is much better and now looks complete! 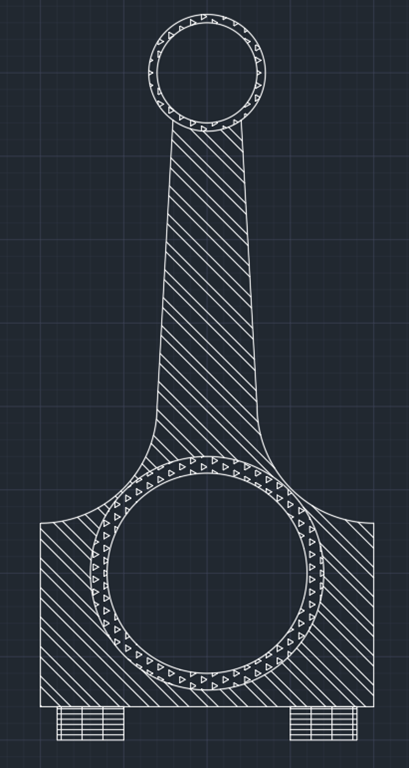 We have one last step, and the Connecting Rod (sans piston) will be complete. 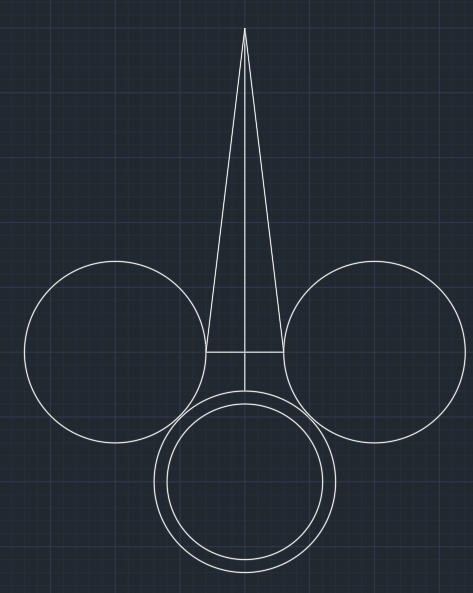 We still need to shade in the parts that aren’t hollow. 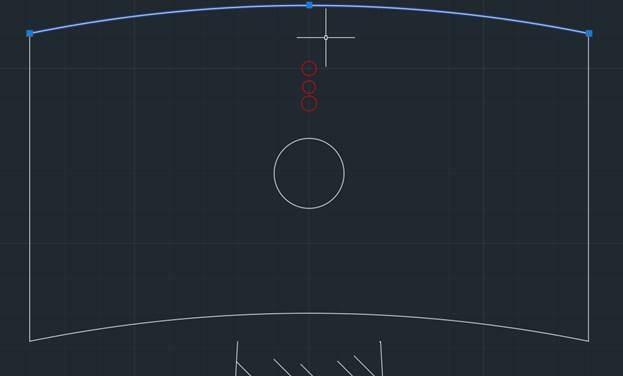 Open up the Hatch Tool (HATCHADD). 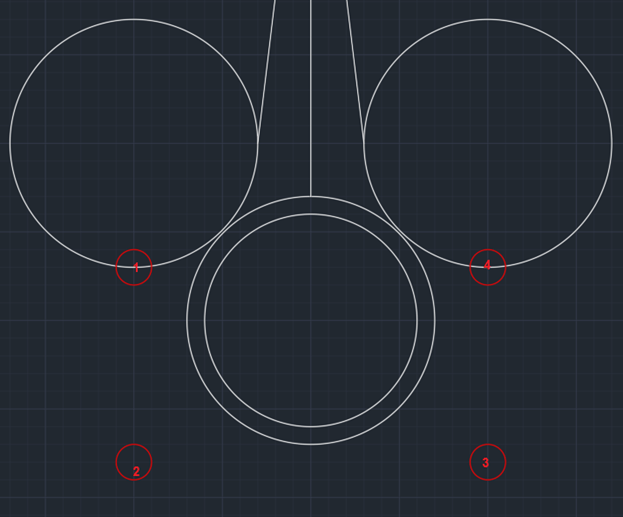 Choose any hatches you like and shade in every part except the inner 2 circles. Refer to Figure 19. 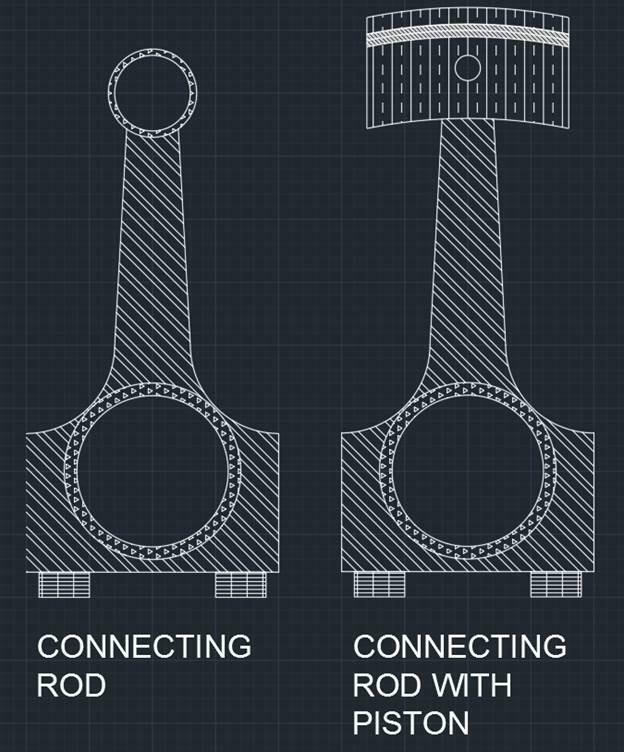 That’s how you do a Connecting Rod. All the arcs are properly centered around major gridpoints and this would be easy to even draft by hand, if needed. 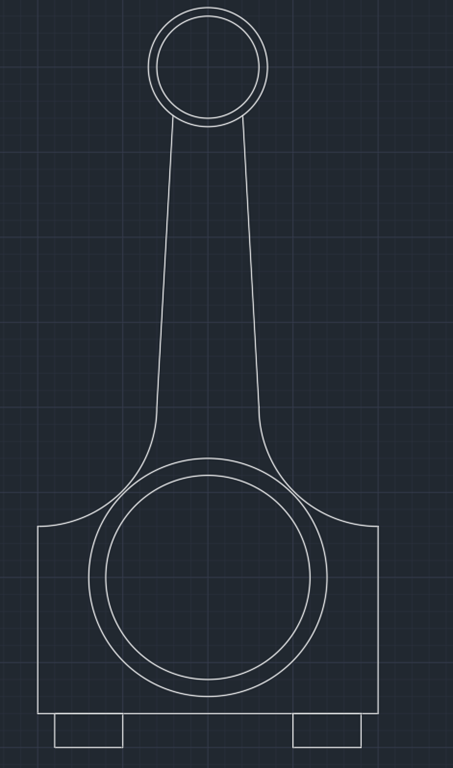 Now we will be going a Connecting Rod with the Piston attached. We will be working off our previous creation, so make a copy if you want to end up with both. Make a rectangle (RECTANG) following the endpoints of the one shown in Figure 21. 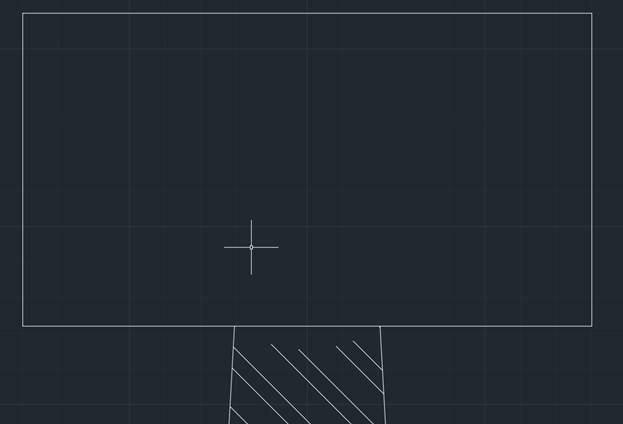 Assuming your Object and Grid Snaps are still on, everything should work smoothly. Now what we are going to do is break apart (EXPLODE) the rectangle into individual lines and then delete the top horizontal line of the rectangle. 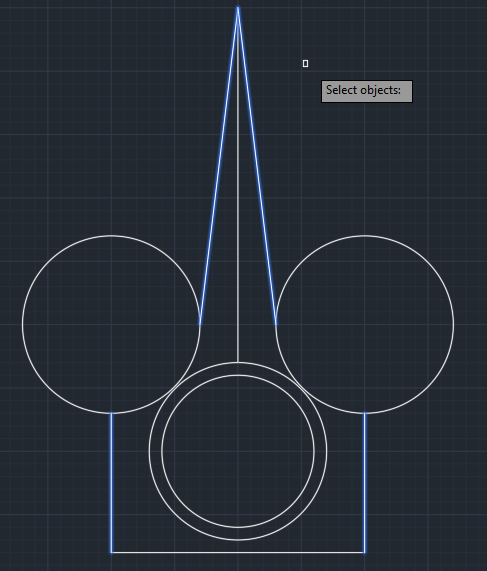 Copy the bottom arc we made onto the endpoints of the other lines. Use Figure 25 as a reference. Note: I went back and made my arcs a little more arched after this. 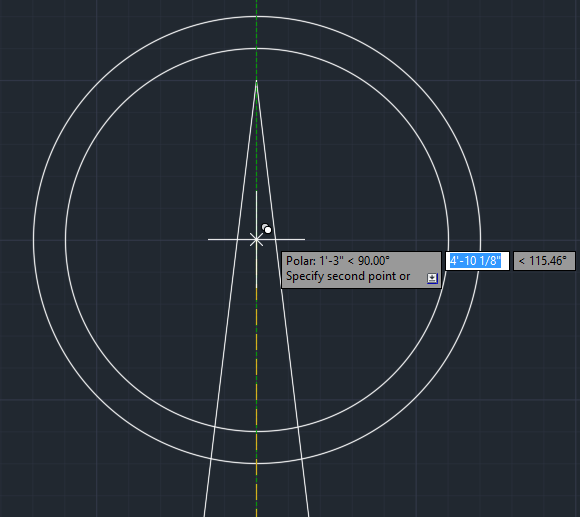 Make a circle that has a half-inch radius and place it at the point shown in Figure 26. 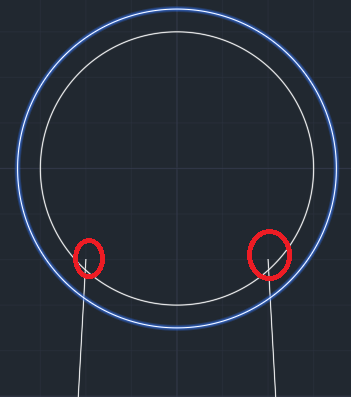 Make 3 copies of the top arch and place the midpoint of each on one of the three red circles shown in Figure 27. The only thing left to do is had the hatches to the Piston. 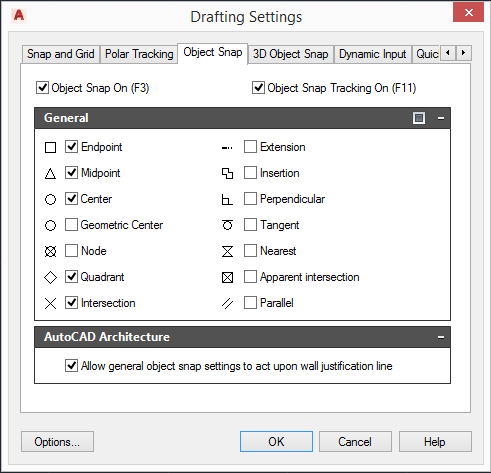 JTB BatchAttEdit is a new batch attribute editor app for AutoCAD from JTB World. 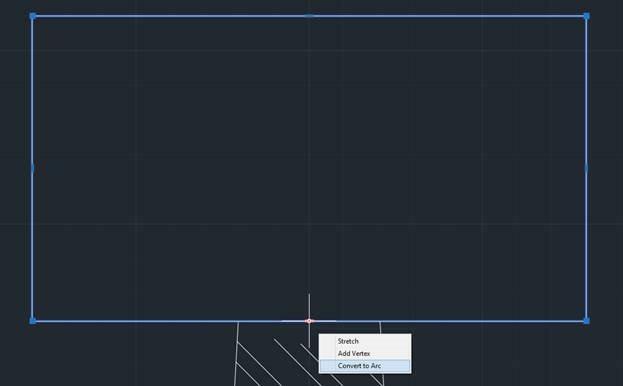 The app collects attributes in all blocks of specified name patterns in multiple drawings and display in a wide spreadsheet. Then you can edit attribute texts as easy as working with Excel. 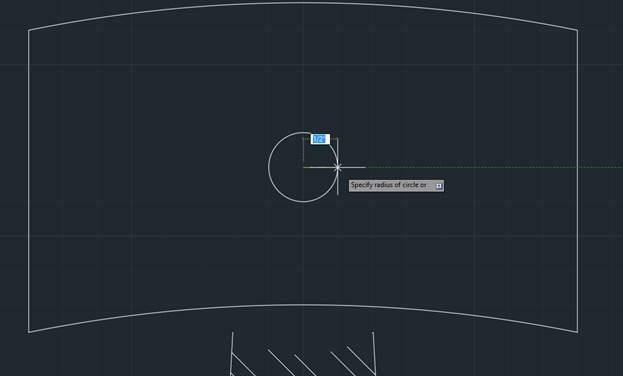 Once done, click "Apply Attribute Changes" to update values to drawings. Trial of JTB BatchAttEdit is available.